I must admit that I am more than a little obsessed with this round of the Fetish Fair! 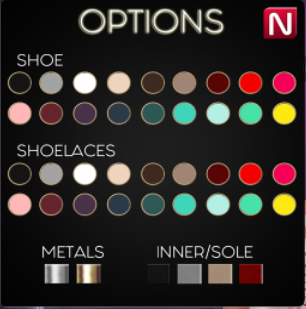 Between poses, clothing, shoes… It’s darn near impossible NOT to find something for everyone! And then, with all of those, I see that Glam Affair has some new in-store new releases! Like this Catwa applier, Gigi for Catwa! I wanted to do a mix of Native Indian & East Indian… My sister-in-law in RL is East Indian, so I think with Gigi, I have achieved the look I have been going for! 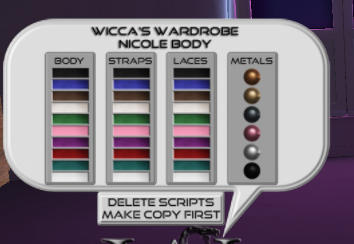 As always, below is all your outfit info, along with your Wicca’s Wardrobe hud snapshot! Have a great week, and anyone else being hit again by this evil heatwave… make sure you drink plenty of water! Previous Post We crazies, gotta stick together!